New construction by Smithbilt Homes featuring the Hamilton floorplan in Wells Creek community, Smithbilt's premium south Knoxville subdivision. Conveniently located near shopping, airport, and schools. The Hamilton is a smaller version on Smithbilt's very popular Franklin plan to make it more affordable to buyers. It features the same open floor plan. 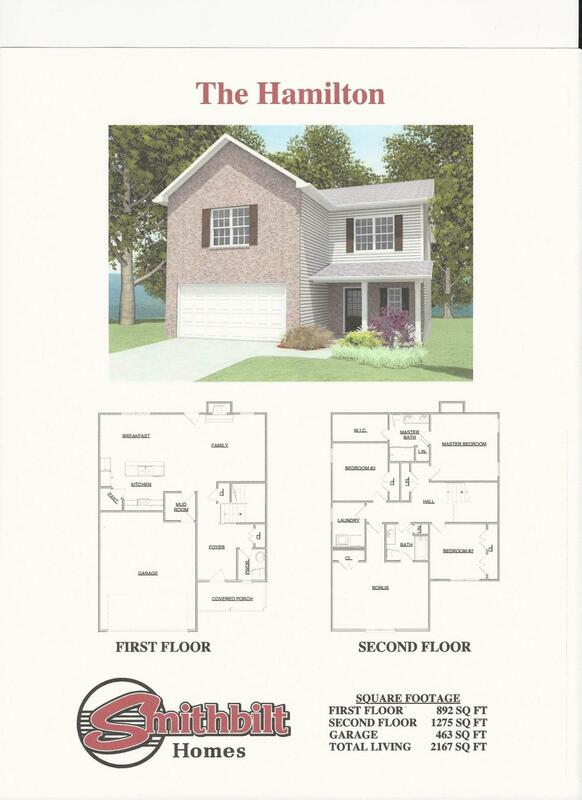 Other features that buyers requested have been added to this plan including deeper garage, walk in pantry, MUD room, larger laundry room and a bathroom connected to the bonus room. Master bath includes double vanities. Large walk in closet in master bath. Upgrades for this listing include hardwood flooring in living room, stainless appliances, upgraded cabinets & kitchen faucet. Estimated completion date is June 12, 2019.